The two commons are often known simply as "Greenham Common" because of the media prominence of Greenham Common Airbase during the cold war. However, a parish boundary runs roughly north-south across the site, dividing it into Greenham Common in the west (nearer Newbury) and Crookham Common in the East. This description applies to the two commons together. The total area is about 500 ha or 5 km2, with a maximum extent of about 5.5 km east-to-west. The majority of the common comprises an open central plateau forming a watershed between the Kennet valley to the north and the Enborne (the Berkshire/Hampshire boundary) to the south. The whole site is now owned by West Berkshire Council (WBC). 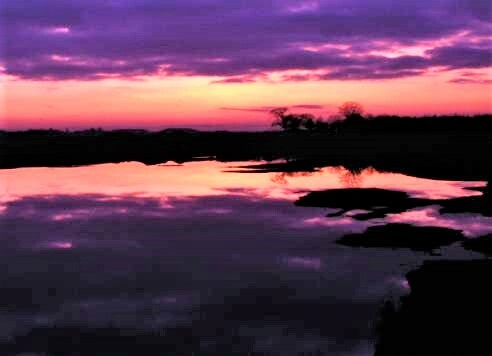 It is managed on WBC's behalf by BBOWT in consultation with the Greenham and Crookham Commons Commission, within the general objectives of nature conservation and the exercise of commoners' rights as established by the Greenham and Crookham Commons Act 2002. (This Act re-established commoner's rights, which had been partly extinguished by the Ministry of Defence in a panic when peace protesters gained a legal judgement that many of the airbase buildings were illegal on common land.) Several commoners graze cattle on the common, with peak numbers reaching over 100 head. 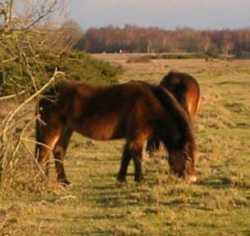 BBOWT also keep a few Exmoor ponies here. BBOWT employ a Countryside Ranger on the site, and the management is also influenced by Countryside Stewardship agreements with Defra, by the fact that large parts of the common are designated as a site of special scientific interest (SSSI), and by the Berkshire Heathland Biodiversity Action Plan. The plateau, generally at about 115 to 120 m above sea level, is mainly heathland and acid to neutral grassland, on thin infertile soil over ice-age clay/gravel deposits. The plateau is surrounded on all sides by slopes and wooded gullies, some of which descend through sandy Bagshot beds to London clay in the lowest valley bottoms at about 80 m. During World War II the plateau was artificially levelled, and some of the gully heads filled in, to form the airfield. One peculiarity of the common is that while the native soils are acid, the imported material is neutral to slightly alkaline, and there were also decades of rainwater runoff from the large areas of alkaline concrete runway. The result is a very unusual mixture of lime-hating and lime-tolerant plant species on the plateau. The surrounding woodland includes historic hazel and birch coppice, wet alder woodlands and open mires in the gully bottoms, and some ancient oak wood-pasture. Since WBC assumed ownership, the airfield runways, roads and other structures including underground fuel tanks have been removed. The concrete was crushed and used in constructing the Newbury bypass. Soil contaminated with aviation fuel has undergone bioremediation, a process in which it is spread out and periodically turned over to allow bacteria to metabolise the contaminants. Another major project involved the removal of a large volume of imported material from the northeast corner of the common, to re-establish an approximation of the former landforms and to re-create a wetland area.